Where is local online search heading? After taking a year off, the latest version of the Local Search Ranking Factors survey has been released. Sourced from dozens of local search experts, the survey helps businesses understand the trends in local search and what areas they should focus on to improve their rankings. The survey is divided into two sections: Local Pack Ranking and Organic Search Ranking. Below is a brief outline of the results. When a user performs a local search (i.e. 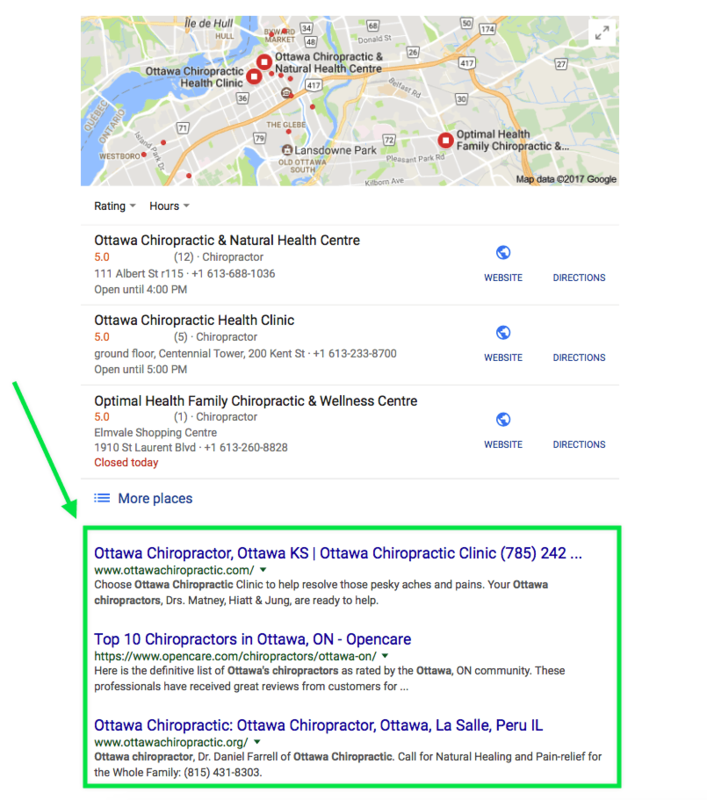 “chiropractor Ottawa”) a list of businesses is displayed below the paid ad listings. Known as the “Local 3 Pack,” this list shows a Google map of three businesses accompanied by their average Google review rating and basic contact information. While the results remain relatively consistent with past surveys, there are a few details to take note of. For example, accuracy and consistency on listing sites are still important. But inbound links and quality reviews have increased in importance. The conclusion? Minimizing negative feedback and gaining more five-star reviews could increase your competitive edge even more. The organic search results are the list of websites displayed under the Local 3 Pack business listings. Show up in the Local 3 pack and rank on the first page of organic listings, and you’ll be dominating Google’s real estate. Google still leans heavily on links as the leading measure of a business’ prominence. In effect, the local search practitioners that invest time and energy into securing quality and relevant links are reaping the greatest rewards. 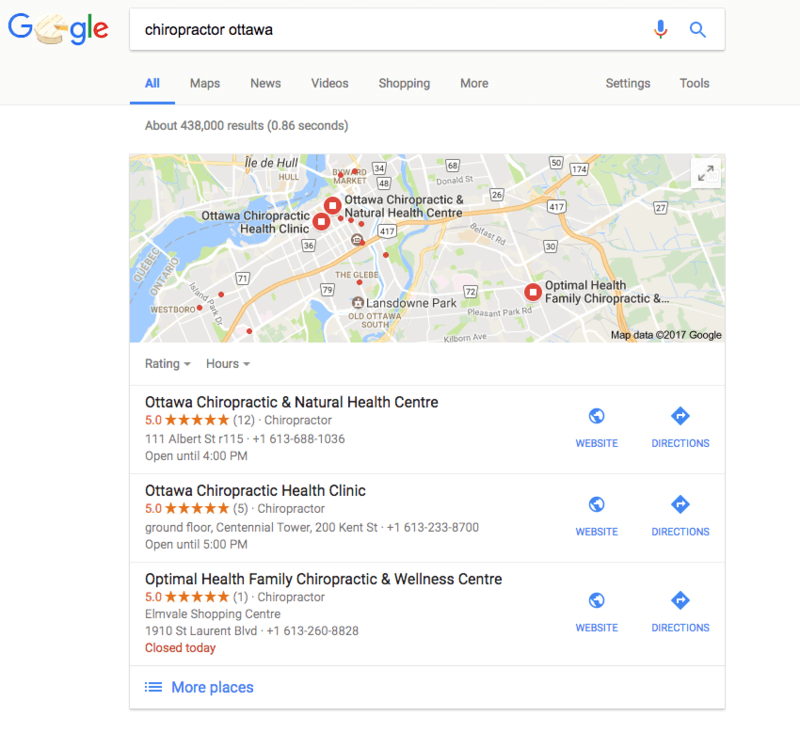 With the ever-shifting nature of Search Engine Optimization, it’s as important as ever to have chiropractic SEO specialists managing your website. If you’re a Perfect Patients client, rest assured that we stay on top of the latest SEO trends. Not a client yet? Request your free 15-Minute Website Evaluation to see how your website stacks up.